What is the pace of our trips? This trip is an outdoor education for all our guests. Our guests will be asked to participate in all aspects of the trip to enjoy the full experience of the adventure. Our professional wilderness guides will be there every step of the way leading and instructing on how to live and travel in the Canadian wilderness. Every one of our guests will be encouraged to participate as long as you are comfortable doing so. This will include learning how to walk using snowshoes, while pulling a sled full of gear, helping prepare home cooked meals over a fire, appreciating the comforts of camping and most importantly the enjoyments of living in the great outdoors. All of our winter trips start at Canoe Lake Access Point 5 where adventurers will meet with their guide. Here, lunch will be provided followed by a review of snowshoeing skills and techniques before heading down the lake. Prior to our arrival at camp, guests will have the opportunity to perfect their snowshoeing and ice crossing safety skills while enjoying the Canadian outdoors. Once at the campsite, the guide will lead our guests on how to set up camp. A home cooked dinner is prepared and served by the camp chef to enjoy by the campfire. Nothing completes a day in the woods more than falling asleep in a cozy sleeping bag by the wood burning stove, while listening to the sounds of nature. Our guests will wake up to the smell of fresh coffee in the early morning and then set out on a sunrise hike in search of moose. After a delicious breakfast, the group will have a day filled with Hiking, Polar Bear Swimming and learning Winter Camping Skills to enjoy those picture perfect moments. This is where freedom lives! A tasty lunch will be provided with access to snacks throughout the day. 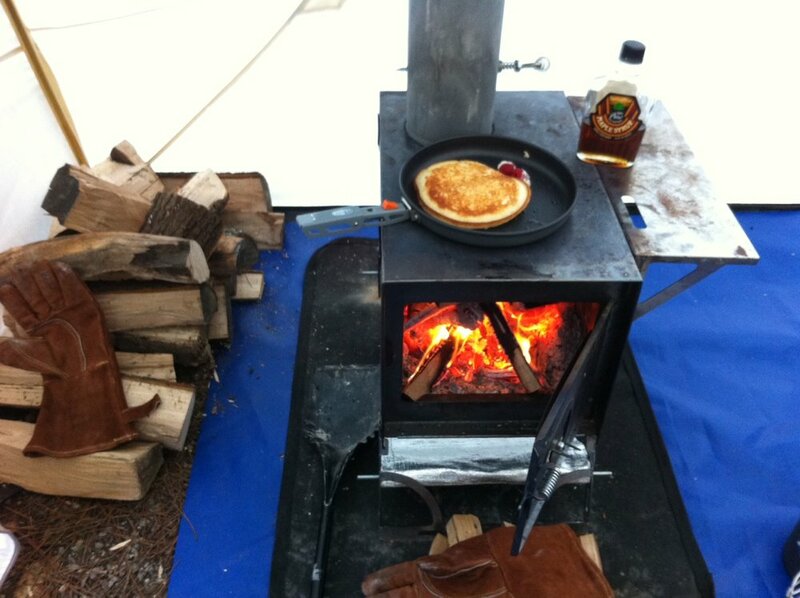 The group will return to camp where another backcountry savoury dinner will be cooked over the fire by your personal chef. The night ends with retelling each other the memorable stories from the day. A hearty breakfast awaits our guests when they awake in the morning. After packing up camp, more adventures await including how to make a Quincy (Snow Shelter) Snowball fight, tobogganing, and a tasty lunch along the way. Taking our time, the group will make our way back to the access point.